Anaïs joined the Practice in 2014. 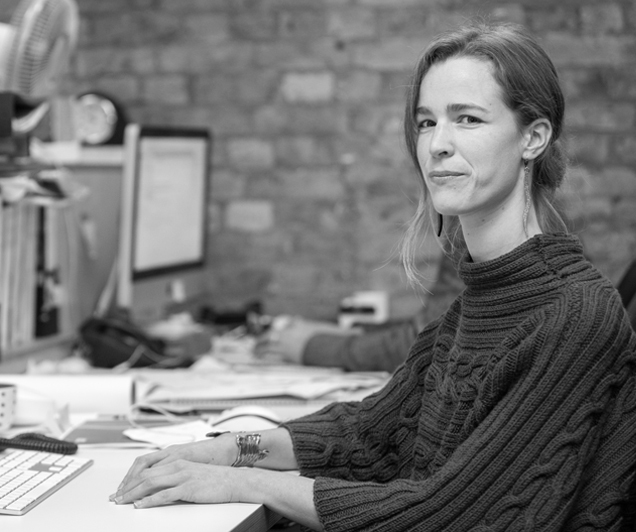 She specialises in working on the early stages of both larger scale and smaller residential projects from initial feasibility through to planning submissions. This involves detailed context examination and exploring design approaches and options through 3d modeling. Notably, Anaïs is particularly experienced with developing sensitive responses to constrained infill sites within urban areas. Several of her projects are in Conservation Areas and she has identified solutions appropriate to the historical context while maximising the site’s potential. Her experience has included being a key member of the planning team which secured approval for a scheme of 785 new homes, Ailsa Wharf in Tower Hamlets. She has also been part of a team examining a new typology addressing the interface between industrial and residential across three sites in Bermondsey.